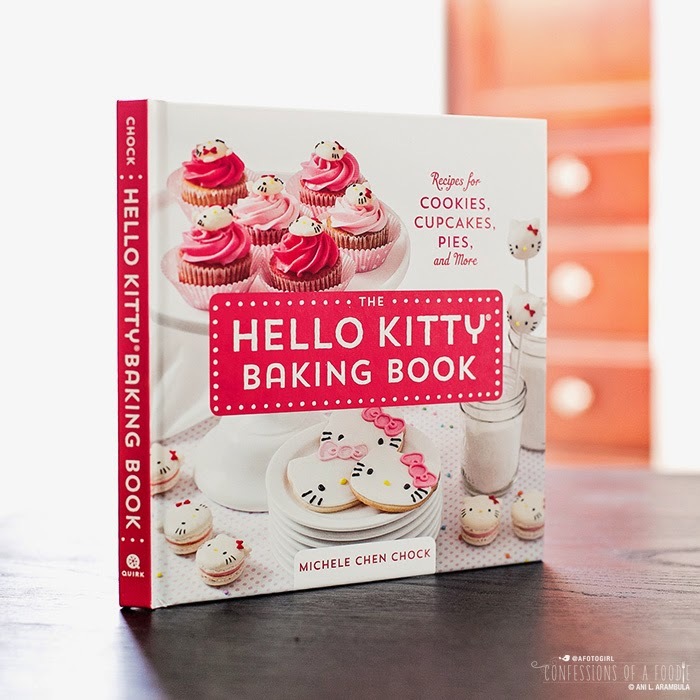 Just in time for holiday gift shopping, The Hello Kitty Baking Book, the first-ever Sanrio licensed cookbook, is filled with simple and easy to follow recipes for sweet treats. Do you love Hello Kitty? 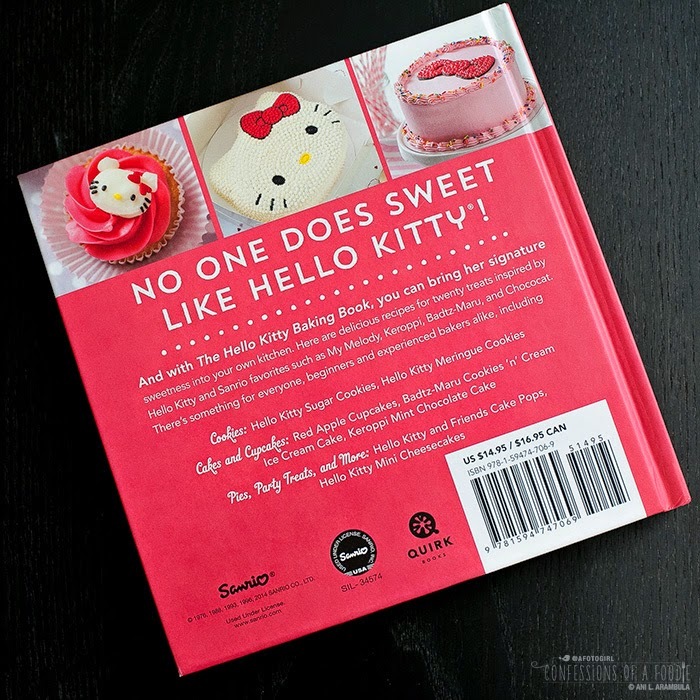 Then The Hello Kitty Baking Book: Recipes for Cookies, Cupcakes, Pies and More by Michele Chen Chock is a must have. It is truly an adorable little book and if you’re a mom with young girls in your house, then this book is filled with fun projects to make together. I also think it will make a sweet first baking book for the pre-teen on your gift list this holiday season. From key ingredients and equipment, piping techniques, baking math, templates to trace, along with recipes easy enough for beginners to more complex recipes with multiple components, this cookbook has a little something for everyone. I’m especially intrigued by the Badtz-Maru Cookies ’n’ Cream Ice Cream Cake, above, with a layer of decadent chocolate cake and a layer of from scratch cookies ’n’ cream ice cream finished off with a chocolate cream cheese frosting. 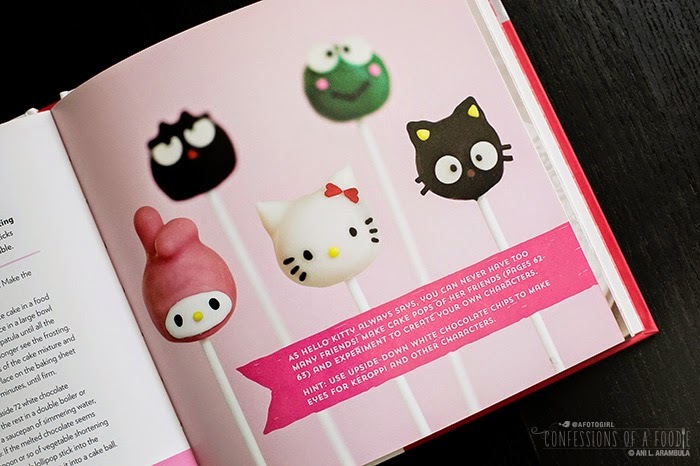 I also think that the cake pops, below, are super cute! 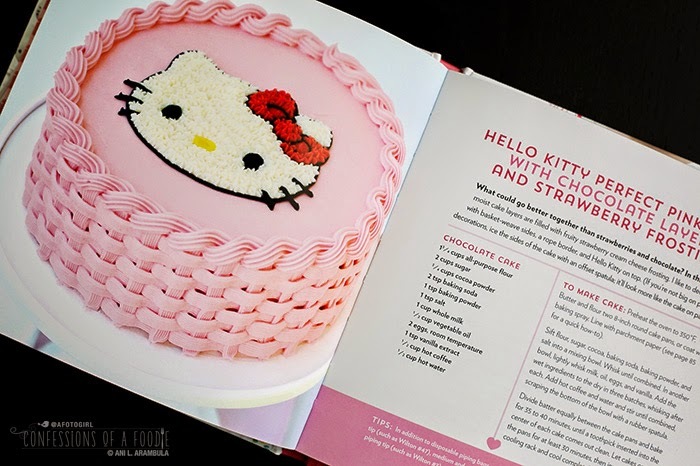 The design of the cookbook is in line with the Hello Kitty brand with lots of hearts and pink accents. Each of the 20 recipes is accompanied by at least one sweetly styled photograph to show you what the finished treat should look like (Michele styled and a good portion of the photography are her photos). The recipes themselves are written with clarity and there is a clear typographical hierarchy. However, the fractions in the recipes appear a lighter font weight and are a bit small making them difficult to read. As a designer, I also take some issue with the choice in font weight for the directions: I’m all for sans serif body type but the font weight used here is best saved for display or accent as it is much too light for body type. Although it looks pretty as is, it's a little difficult to follow along and use in the kitchen when you’re reading and doing at the same time. The font needed to be either 2 point sizes bigger or, at the very least, one weight heavier. Of course, these are minor distractions that the average young teen would most likely not pick up on. 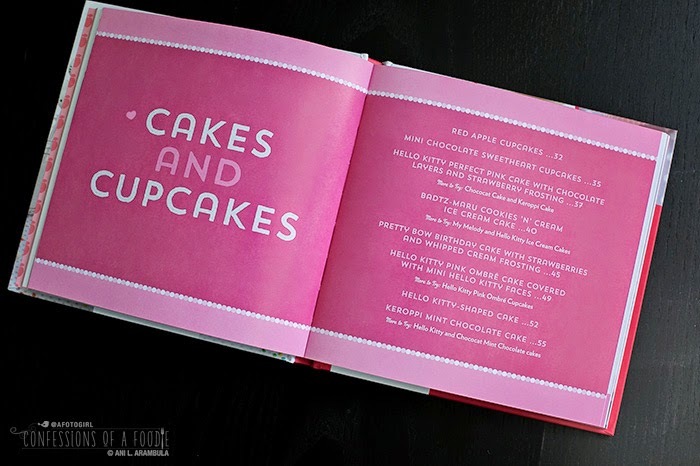 Also important to note: Although there are cute templates to use as guides in the back of the book, several recipes do require Hello Kitty character molds or cookie cutters which Michele does provide a resource list for. If you're gifting this book for the young baker in your life, I suggest also including a few cookie cutters with the book so your baker can get started immediately with some of these cute recipes. Courtesy photo from Quirk Books. Used with permission. Rich, buttery, and decorated with a thin layer of sweet royal icing, these classic sugar cookies are great for birthdays, holidays, or anytime snacks. Just be sure to give yourself plenty of time to make them—it’s best to let the icing dry overnight. To make cookies: Combine sugar and butter in the bowl of a stand mixer. Using the paddle attachment, beat until smooth and creamy. Add egg and vanilla, mixing at medium speed until combined. Sift in flour and salt, then mix until flour is incorporated and dough starts to come together in a large mass. Turn out the dough onto a floured surface and press with your hands to flatten it into a disk. Wrap in plastic wrap and chill in the refrigerator for at least 20 minutes. Preheat oven to 350°F; line a baking sheet with parchment paper. Place dough onto a floured surface and use a rolling pin to roll it out to a ⅛-inch thickness. Use cookie cutters to cut out shapes, then use a spatula to transfer them to the baking sheet. (Tip: If the dough gets warm and too soft to work with, chill for 30 minutes.) Bake for 10 to 12 minutes, or until golden brown. Let cool. To make royal icing: In a small bowl, dissolve dried egg white powder in water. Sift confectioners' sugar into the bowl of a stand mixer. Pour the dissolved egg whites and the lemon juice through a strainer and into the confectioners' sugar. Mix with the paddle attachment on high speed for about 5 minutes, or until it becomes light and fluffy. Store icing in an airtight container at room temperature until ready to use. To assemble: First, tint the icing different colors. In one bowl, place ⅓ cup of the icing and stir in a few drops of yellow. In a second bowl, place ¼ cup of the icing and tint it black. Place 1 ½ cups of the icing in another bowl and tint it the color of your choice for the bow. Leave the rest of the icing white, for Hello Kitty's face. Next, make thinner icings to fill in the areas piped with thicker icing. To half of the white icing, add water a teaspoon at a time until thinned. Repeat for half of the bow icing. Fit piping bags with couplers and fill with one color of stiff icing. Fill each decorating squeeze bottle with the thinned icing. Use the stiff bow icing to pipe the bow outline either freehand or using a paper template and edible food marker. Fill the bow shape by squeezing the thinned bow icing within the outline. Pipe stiff white icing around the cookie edge to outline Hello Kitty's face. Fill in face and ears with thinned white icing. (Use a toothpick to spread icing to edges of borders defined by the stiff icing.) Let dry overnight, uncovered, in a cool dry area. Leftover icing can be stored at room temperature in an airtight container; stir before using. Once cookies are completely dry, use stiff black icing to pip eyes and whiskers. Outline bow with either stiff bow-colored icing or stiff black icing. Use the yellow icing to pipe on the nose. Let dry. Tips & decorating equipment: To decorate, you will need disposable piping bags, decorating tip couplers, small round decorating tip (such as Wilton #2 or #3), and decorating squeeze bottles. When reconstituted with water, dried egg white powder becomes egg whites; because it’s pasteurized, it can be safely used without being cooked. Note: It is not the same as meringue powder. Recipe by Michele Chen Chock. Used with permission by Quirk Books. Disclosure: Quirk Books provided me with a review copy for editorial consideration that I'm also using for the giveaway. I was not otherwise compensated. All opinions are my own. Unlike a full review, Quick Look's are not recipe tested usually due to my dietary restrictions. 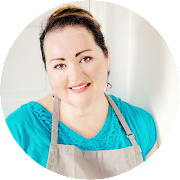 My reviews for Quick Look's are based on as thorough an examination of the recipes, photographs, and design as time allows as well as my expertise as a recipe developer, home cook, baker, art director, photographer, and designer. This post contains affiliate links. To enter the giveaway, follow the instructions in the Rafflecopter widget below. You must use the Rafflecopter widget to be eligible to win. You can earn up to 8 entries today and receive an additional entry once per day if you tweet about the giveaway. Contest ends at 12:00 a.m. on Saturday, November 14. Winner will have 24 hours to respond via email to claim their prize. If no response is made, a new winner will be selected. Winner will then be announced here and on my other social media platforms. I will mail book out the week of November 17th. Open to U.S. Residents only. I'll be dropping the book in the mail this week. Stay tuned for our next giveaway coming up very soon. This looks super cute! 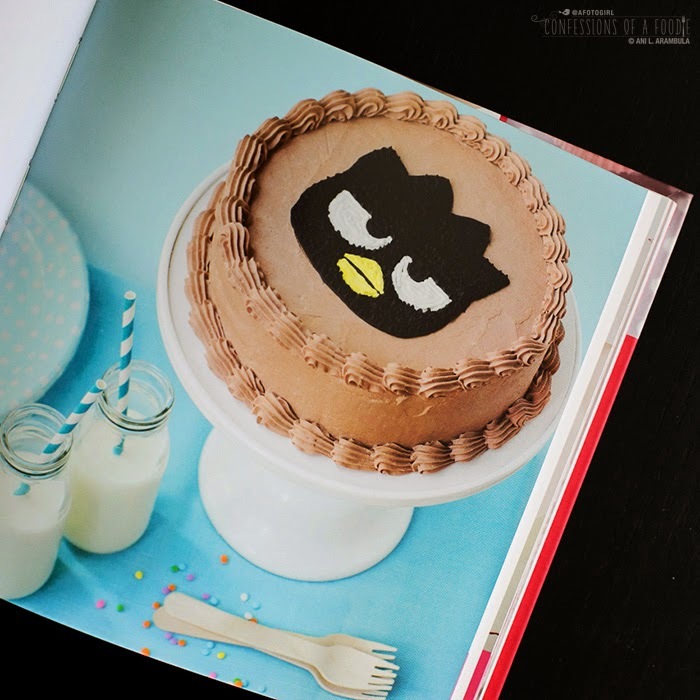 I'd love to try making the little hello kitty cake pops and I know my sis would love that badtz maru ice cream cake! Aren't those cake pops adorable?? Good luck with the giveaway! My daughter... she loves hello kitty. Yay! I really think young girls will especially love this. Good luck with the contest! My daughter is a huge Hello Kitty fan. My daughter is a huge Hello Kitty fan! Hi Beth! Good luck with the contest! My goddaughter and I share a love of Hello Kitty! I've always loved Hello Kitty! I've always been a hello kitty fan! We all love Hello Kitty, but my granddaughter is the biggest fan in our family. Karen and Rachael, good luck with the contest! My sister in law is a huge hello kitty fan :) this would be the highlight of her day!! My daughter, Lily is the Hello Kitty fan in our house! She loves anything glittery with Hello Kitty! My daughter and I are Hello kitty lovers! My daughter's friend is a fan! My niece is a big Hello Kitty fan! My niece would like this a lot. My granddaughter is, she's a huge fan. Our daughter is a real Hello Kitty lover! I love hello Kitty and my daughter is only 5 months, but I choose a lot of hello kitty décor and clothing for her. Our girls are all big Hello Kitty fans. 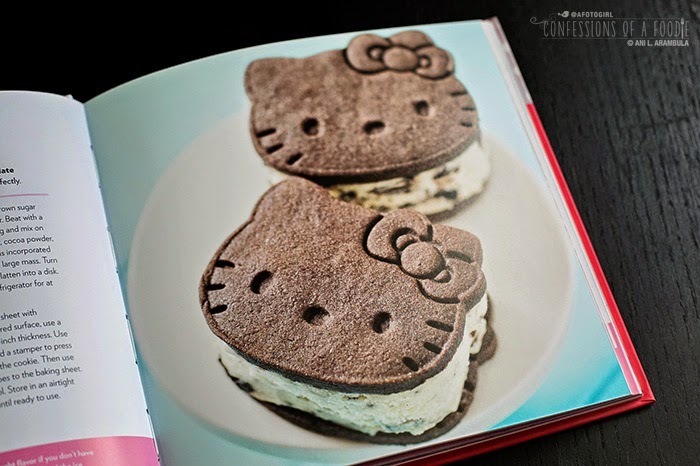 My niece loves Hello Kitty and she has been really into baking so this would be perfect for her. I really hope I win. Good luck every one! Thank you for commenting and entering the giveaway! I am a huge Hello Kitty fan. I have toys on my desk at work, purses, shirts and even an email address @hellokitty.com. Me! I have liked her since I was little. I now have a Hello Kitty tattoo. Me- 36 and have a huge collection! My niece adores all things Hello Kitty. My sister-in-law and my niece are. I imagine they would have a blast with this book together! 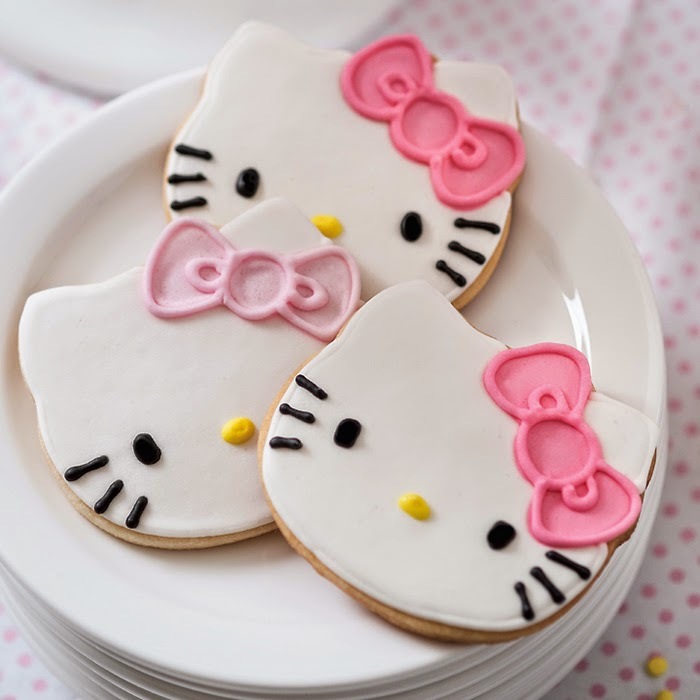 me and my sis always looking for ideas to make cute hello kitty food.